Where Do I Find Images for My Freelance Writing Clients? As a freelance writer, it’s our job to convey to prospects and clients the value of strategic digital marketing. To put it more simply, many businesses aren’t savvy to online marketing tactics like social media or content promotion. 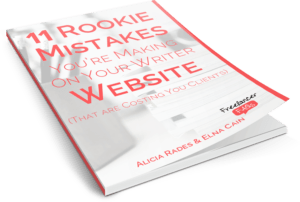 So, to make sure we become an integral part in their marketing plan, it’s best to have some tricks up our sleeves as a way to stand out from other freelance writers. It’s our job to convey to prospects and clients the value of strategic digital marketing. One way to do this is to find images for your clients. According to Jeff Ballus, blog posts with images receive 94% more total views than those without an image! Content marketing is turning to more of a visual field. Places like Pinterest and Instagram rely on visual content for their platform – people are attracted to great looking images. So, what happens when a client asks you to find images for them? How do you find the right one and where do you go? If you are new to blogging, you might think you can just grab a photo from Google. I mean Google does have an image search, right? But, not all images are free to use, distribute or modify. If an image is copyrighted, it means you cannot use it unless you have direct authorization from the owner. It’s there to protect the owner and he or she can sell or transfer the image to you for use. If you don’t know if a picture you found is copyright protected, err on the side of cation – it probably is. These refer to stock photos where you pay an initial user fee. Once you pay for the license, you have free unlimited use of that image according to the terms specified. No other royalty payments are issued. These are a little pricy, but if you find you have multiple clients who require a feature image, you might have better luck paying for a stock photo than trying to find a free image to use. These are images for which the copyright has officially expired or never existed. They are free for personal and commercial use for just about anyone. Be aware, the laws regarding public domain licensing are different for every country. So, before using an image, double check that it’s defined as public domain in your country and your client’s country. Knowing where to find images and which ones to use isn’t public knowledge. Many start-ups and local businesses haven’t a clue about which images they can use. When you can provide your expertise on image licensing and where to source images, you take the guesswork out for clients. They will come to lean on you for their visual content needs. Many start-ups and local businesses haven’t a clue about which images they can use. So, explore these sites, bookmark the ones you like the best (I love Pixabay since they have a huge index of both Creative Commons and Public Domain images) and become a strategic partner in your clients’ content marketing plan. Over to you – tell us, which site is your go-to place to find images for your clients? What Do I Do When My Writing Has Been Stolen? Great post, Elna, thanks. It sometimes is really tricky to figure out what you can or cannot use and under what circumstances, so it’s really nice to have both the explanations and examples for good resources listed this way. When I first started freelance writing, I had no clue about images. I thought you just searched on Google and there you go! It wasn’t until I came across an article talking about how to use images! Thanks for letting me know! Glad you liked my post and found some cool sites to go to for images! This is a wonderful list of resources Elna! I’ve never heard of some of these. I also use Stocksnap.io for free creative commons (zero) images. I find that many images tend to repeat across some sites though (just an observation). Thanks for your suggestions for free images! I’m always looking for more places to find images! Yeah when you use CC licensed images, you will run the risk of everyone using the same image, but so far that hasn’t happened to me much. Thanks for that very resourceful information on how to go about images. I hadn’t thought of that golden rule of ” if unsure the image is copyrighted always have the assumption that it is.” I will definitely take this tip and indeed the rest of your suggestions when seeking out for an image.